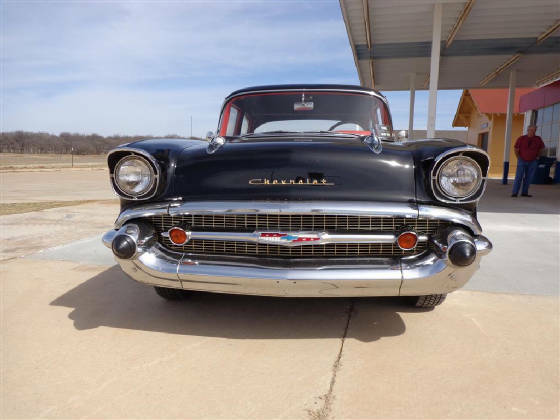 This month’s Great Oklahoma Classic is a beautiful 1957 Chevrolet BelAir Sedan owned by John and Kay Lynn Dragoo of Perkins, Oklahoma. 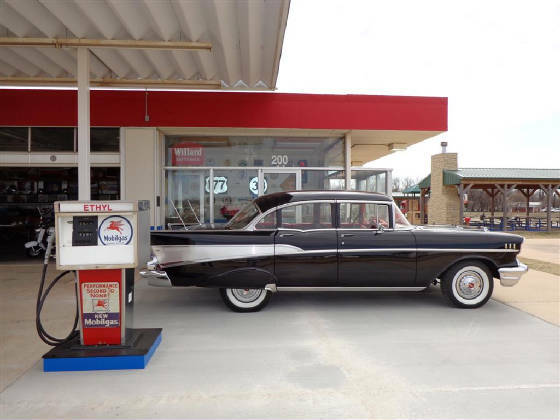 What a wonderful day in March at the Old Gasoline Station in the Oklahoma Territorial Plaza to photograph a American Classic! John and Kay purchased the Chevy BelAir in 1988 from the son of its original owner. The owner at the time of purchase just happened to be John’s boss when he worked for Oklahoma Gas and Electric Company. 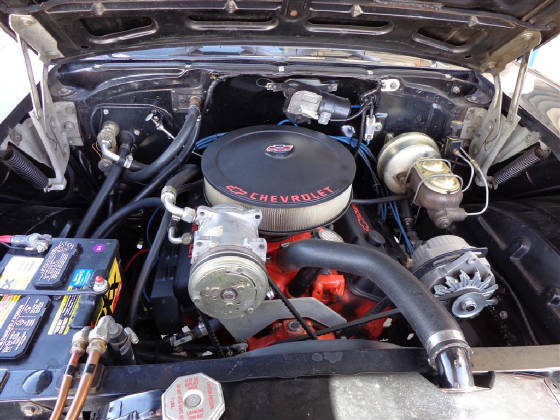 At the time of purchase, the classic Chevy had a 235 cubic inch inline six with a power glide automatic transmission with 47,000 original miles. In 1992 the classic Chevy was upgraded with a fresh 327 cubic inch V8 and a Turbo 350 transmission. A new air conditioning unit and power assisted front disc brakes were also added during this time. These upgrades have made the “Old Chevy” even more fun to drive. 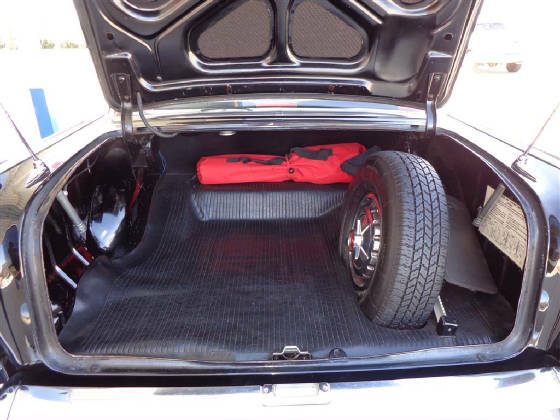 The trunk area of the classic Chevy is just as nice as the restored interior. 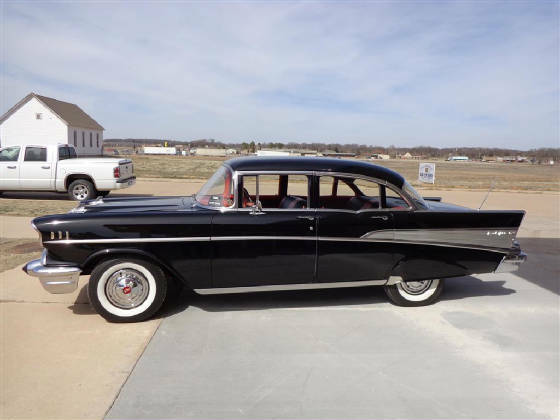 In 1989 the beautiful black paint and interior were completely restored to bring the BelAir back to its factory fresh look of 1957. 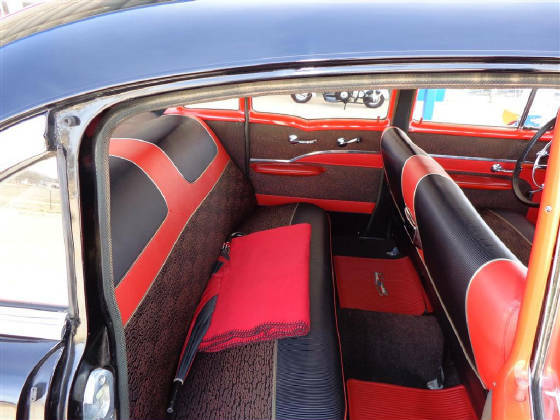 As you can see the interior of this Chevrolet is classic 1957 through and through. John did an excellent job of lacing the custom leather steering wheel cover. As you can clearly see, this Chevrolet BelAir is still in better than new condition! This black beauty sedan rides on a set of Coker Wide White Wall P215/75R14 radial tires highlighted with classic Chevrolet hub caps. 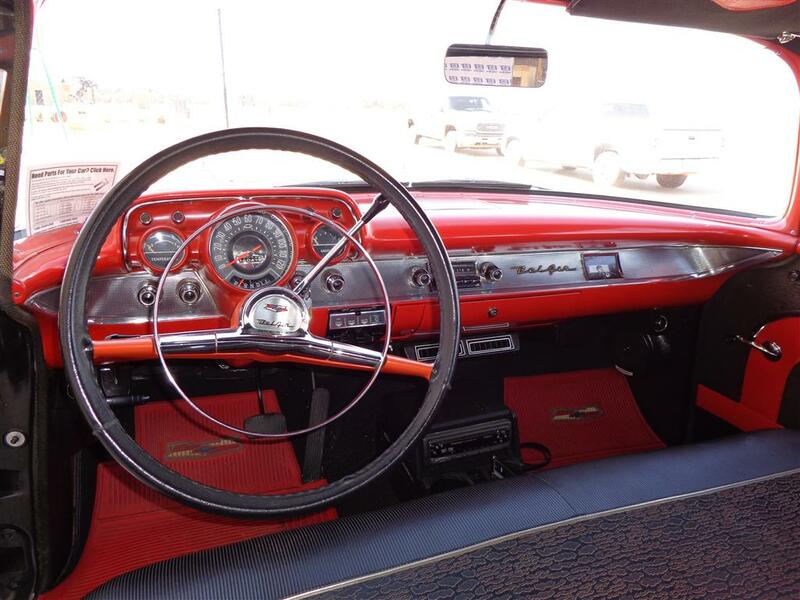 This classic Chevy is a driver’s car and the Dragoos drive their car. It has been used as a limo for many weddings and proms as well as participating in dozens of parades during the last twenty five years. 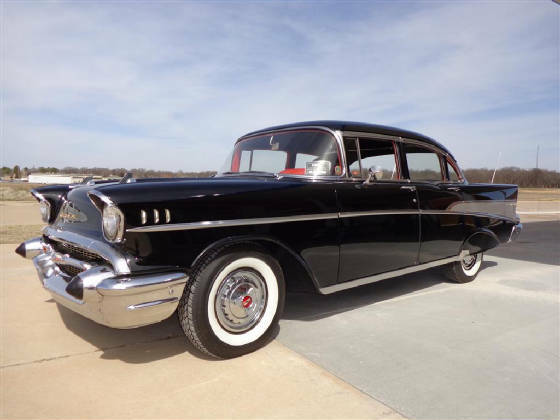 The BelAir has been driven to the gulf coast for ‘Cruising the Coast’ six times and made eleven fall foliage tours in Arkansas, Missouri, Oklahoma and Texas. 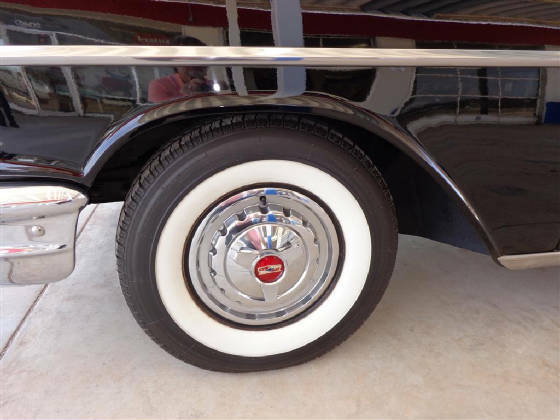 This classic Chevy is a crowd pleaser at area car shows and has participated in nearly a hundred shows since John and Kay Lynn have been the owners. The Dragoos have met many friends while attending these show and sharing their beautiful "57" with other classic car enthusiasts. 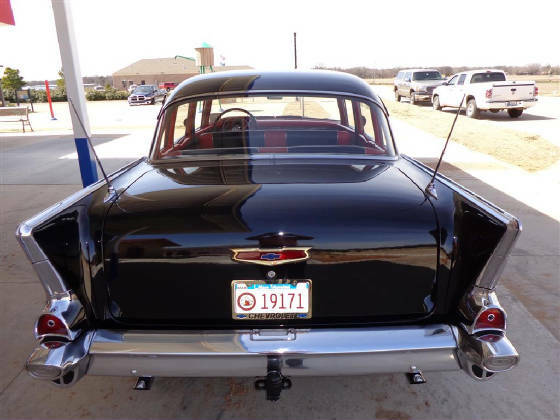 The Cimarron Starlite Cruisers sincerely appreciate John and Kay Lynn Dragoo for sharing their classic 1957 Chevrolet BelAir Sedan as our Great Oklahoma Classic for March 2013!